The Fort Lauderdale Beach neighborhood, sometimes called Central Beach, is a neighborhood in renaissance, with some of the most exciting condominium, single-family, and townhouse living in the city—and more on the way every day. Architecture in the neighborhood runs the gamut from authentic, mid-century streamline moderne to Spanish revival to some of the most cutting-edge contemporary designs in the world. Gone are Fort Lauderdale Beach’s days as a rowdy spring break destination, swapped out for a more peaceful, family-friendly environment, but that doesn’t mean the fun is over. One of the world’s most famous beaches is still within a stone’s throw, and unpretentious nightlife and dining spots are still mixed in among the area’s world-class marinas, hotels, and luxury residences. Other popular attractions in the neighborhood include the Bonnet House Museum & Gardens and the International Swimming Hall of Fame & Museum, which includes a 3-pool aquatic complex open to the public. 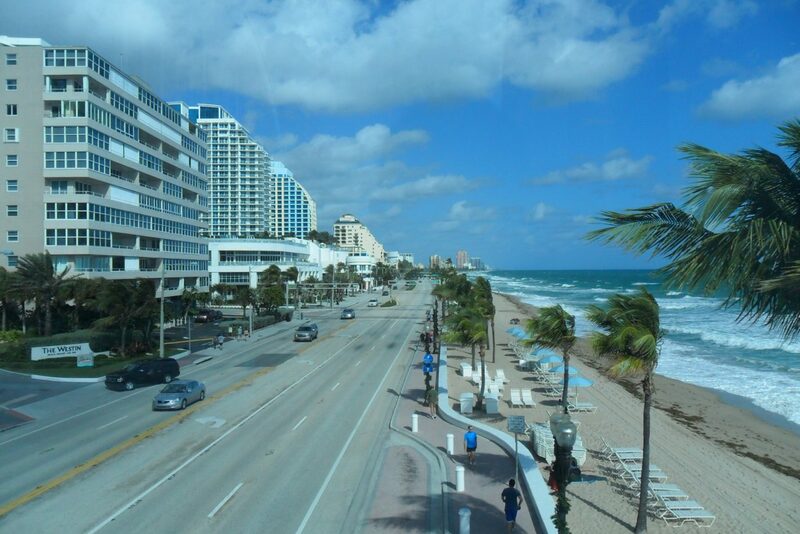 New condo developments and luxury hotels dot A1A. Nearby shopping and dining destinations include the chic Galleria Mall just across Sunrise Boulevard and the boutique shops of Las Olas Boulevard, while Fort Lauderdale’s downtown central business district is mere minutes away. Separating the Intracoastal Waterway from the Atlantic Ocean, Fort Lauderdale Beach runs from the verdant Hugh Taylor Birch State Park to the Barrier Island’s southern split at an estuary of the Stranahan River. Parks in the area include Fort Lauderdale Beach Park, host to the annual Tortuga Music Festival, and the quieter DC Alexander park. And with a $50 million revitalization plan set to add an oceanfront park plaza with event lawn, play fountain and festival streets, the recreation options on Fort Lauderdale Beach have never been more exciting. Bayview and Harbordale Elementary Schools serve the neighborhood’s elementary students, while middle schoolers attend Sunrise Middle. High schoolers are served by Fort Lauderdale High. Private schools in the area are some of the best in the nation, with options including American Heritage School and Pine Crest School. Encompassing portions of the 33316, 33301 and 33304 zip codes, Broward County’s Fort Lauderdale Beach is not just a hot spot for tourists, but also a great place to live.